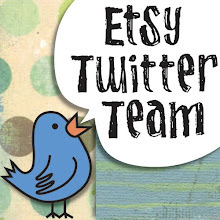 Every week, the Etsy Twitter Team chooses a Shop of the Week ~ one of our wonderful members is showcased & interviewed, for all to get to know us! 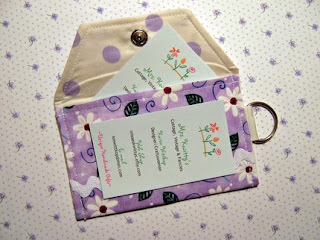 to showcase here at From Nancy's Heart, for Mother's Day. It is approaching and you don't want to be caught short for this most special day. 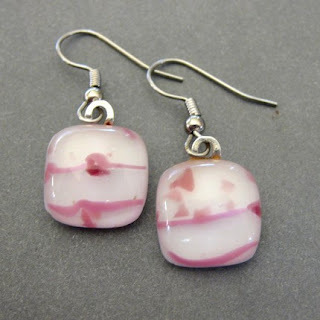 "One-of-a-kind fused glass jewelry created to help customers express their true personality. What ever your personalily type ... bold, sassy, modern, classic, sporty, edgy, daring, elegant, trendy, or unique. We have a beautiful pendant just for you." 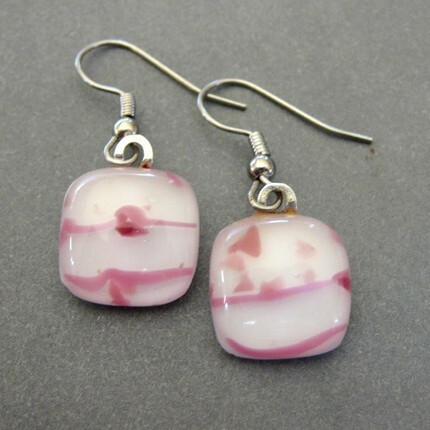 Pink Accents - Fused glass drop earrings ~ Layers of pink accents are fused on a white glass base. 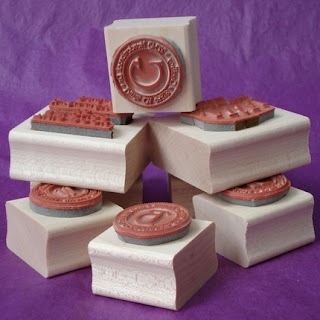 Each piece measures approximately 1/2" square (1.3 cm) without bail. 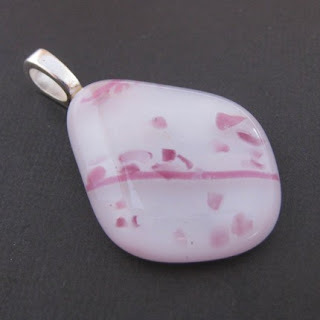 Somebody Loves You - Fused glass pendant ~ A lovely white tear drop pendant with subtle pink accents. Her custom products are designed to complement her customer's personality. 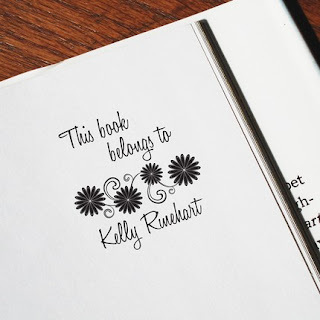 Kelly says, "When using my products, I like for my customers to feel as if they are sending a stamp imprint or piece of stationery that reflects them." Customer satisfaction is what drives her: "When I create a stationery or stamp design that my client loves and feels is perfect for their everyday needs, wedding day or other special event, that makes all the hard work worth it." Small Customized Flowery Bookplate Rubber Stamp ~ This 1" x 1" stamp is perfect for the avid reader. Be sure to get those books you lend back from friends by marking them with your own personalized rubber stamp. 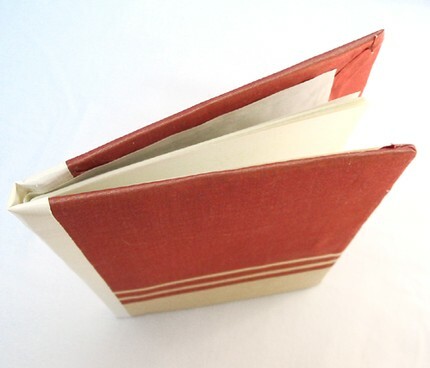 To me, this is a Fabulously unique gift for any Mom, Sister, G-mom or Special Gal in your life; especially if she's the type of gal, like me, who's quickly building her own library! "I am the Frugal Artisan making many different kinds of beautiful bargains! Look in my shop for classic timeless jewelry designs in precious metal, natural stone, and pearls as well as richly colored original photo cards, pressed flower stationary, and embroidery and needlework cards (all very time honored classic crafts)." 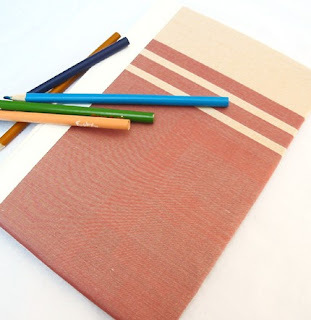 Hard Cover Journal - Silk Stripe ~ Nicely proportioned slim blank journal suitable for sketches, notes, or diary. Silk upholstery fabric in two-toned stripe used on the front and back covers. Wonderful to hold and touch. An eco-choice. I have to say, that I just love this item and if you have anyone in your life who either Journals, Sketches, Exercises or just likes jotting notes down... this is such a lovely gift. 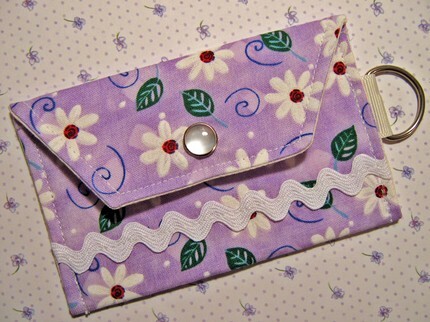 Her shop offers a variety of handmade cottage style items in fabric and paper, which she is delighted to ship domestically or internationally. Her attitude about her work shows clearly. "I just love to make things with my hands---pretty, colorful things. I love to get an idea in my head, go down to my studio and pick out some pretty fabrics or papers, and then allow that thought to become something you can actually hold in your hand! Prettiful Purple Keychain Snap Wallet --a pretty little place to keep all your cards ~ These are the handiest little things!! It's a card wallet/keychain. The snap wallet is the perfect size for your driver's license, ID, bus card, your debit card, and maybe even a few bucks. There is a keyring attached to it--so you can keep your driver's license and keys in the same place! Don't leave home without it. So many marvelous items from our Shops of the Week!! 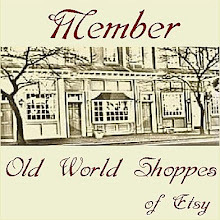 From April 15-22, 2010, the Etsy Twitter authority for online and handmade products, will be offering a multitude of green handcrafted products, tips, and ideas at http://etsytwitter.blogspot.com. Members of the Etsy Twitter Team will offer giveaway prizes, discounts and eco-friendly tips on ways to reduce, reuse and recycle in creating handmade items and shipping them. Thank you for featuring MySassyGlass in your blog. I really appreciate it!